When Amazon.com launched Amazon Web Services a decade ago no one could have imagined that the business, viewed largely as a sideshow geared to serve the ecommerce company’s e-tailing interests, would become a significant player in corporate computing. But as CIO.com noted last week, AWS’ public cloud software, now a $13 billion business, has become a serious contender in the enterprise. 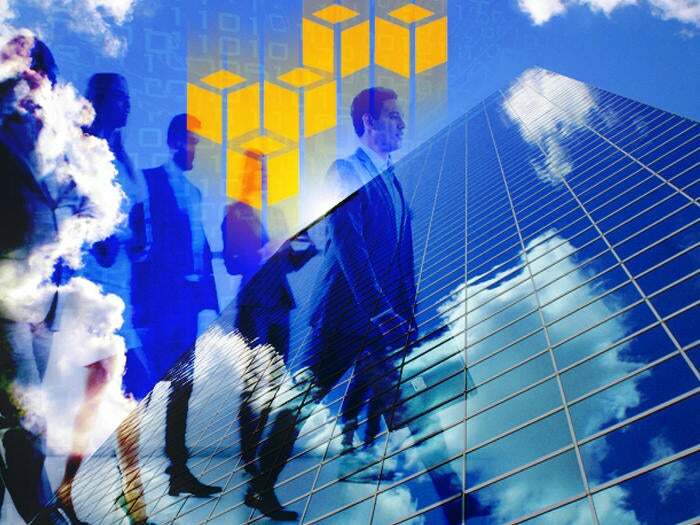 Capital One, Matson and Conde Nast among others are entrusting their computing needs to AWS. Matson has closed four data centers while Capital One is reducing its data center footprint from eight to three. “For us it came down to the recognition that we have limited bandwidth in our organization and we want to put our energy, engineering and innovation resources and leadership bandwidth into doing the things that will make a difference for us strategically in the marketplace,” Capital One CIO Rob Alexander tells CIO.com. The monumental shift from purchasing hardware and software, including servers, storage arrays, routers and virtualization and other server management applications, has disrupted vendors who have made billions selling IT solutions. That’s a big reason why 451 Research analyst Carl Brooks says AWS threatens every sector. “They are essentially reinventing the way IT is being done,” Brooks says. 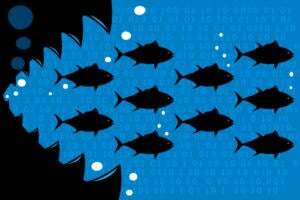 “AWS is the largest cloud service provider by an order of magnitutde but it’s one of hundreds that offer congruent servives and they’re all having a great time.” CIO.com chronicles how AWS had disrupted companies and sectors. 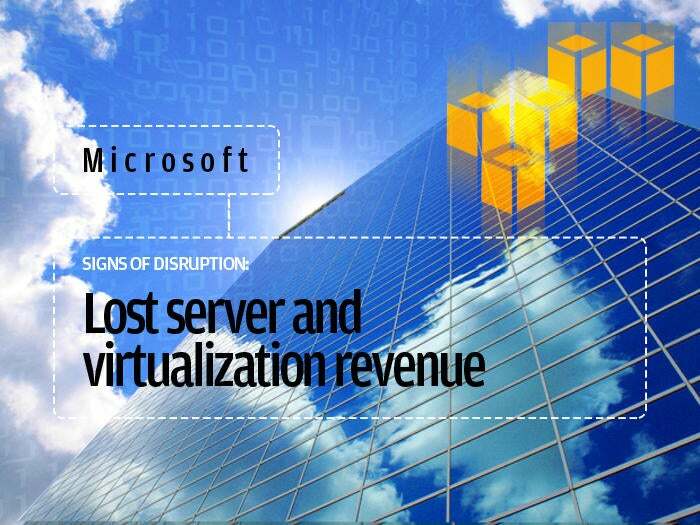 AWS’ rise disrupted Microsoft’s robust software server and tools business, which had thrived selling virtualization software and other tools companies could deploy in their data centers. Microsoft can relate on that disruption front. Brooks says that AWS’s sneak attack on the enterprise closely rivals that of Microsoft’s client-server technologies, including its Windows ecosystem and Active Directory tools that have powerered corporate offices for the last two decades. Brooks notes, “Microsoft impacted every part of the software market, mostly because a lot of folks had to rewrite their software to run on Windows, as much as software vendors have to participate in the AWS marketplace or make their software compatible with Amazon resources.” Microsoft launched Azure to counter AWS and given its broad enterprise channel it is widely considered the greatest threat to AWS. Google is a native cloud company, which arguably gives it and advantage in competing with AWS. However, while Google launched its corporate version of Google Apps around the same time AWS debuted, it was slow to extend its cloud footprint to the infrastructure market, first dipping its toe with the Google App Engine in 2008. Google has since expanded its own Google Cloud Platform, which is used by the likes of Coca-Cola, Disney and Best Buy. If there is a software vendor that has seen it business disrupted more than Oracle we don’t know who it is. AWS has expanded its stack to include QuickSight business intelligence and Redshift data-warehouse software, a direct threat to Oracle’s database software business. 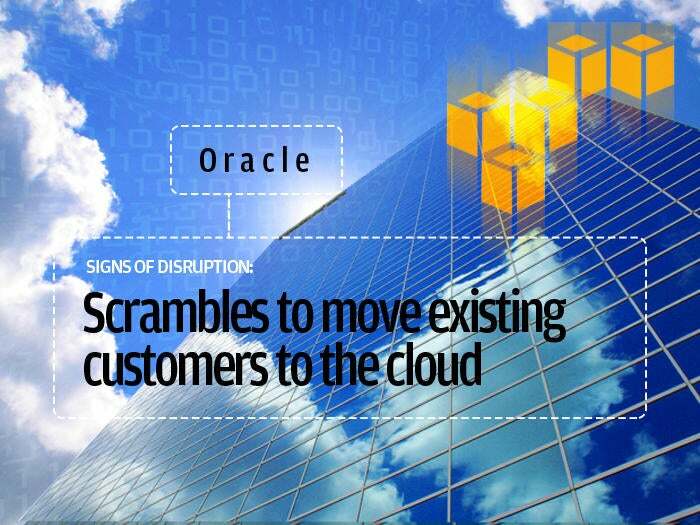 Oracle has responded to the incursion by going all in on the cloud. It has acquired several companies and enticed customers to move from on-premises versions of Oracle software to cloud-based versions, essentially swapping one revenue stream for another, Brooks says. IBM has been steadily watching revenue and profit decline amid weaknesses in its systems segment, which includes mainframes and operating-system software. The top-line decline is a big reason IBM acquired SoftLayer and has been introducing Bluemix cloud services, an example of how AWS is pulling the market in its direction. IBM is also hoping its Watson analytics and blockchain efforts bear fruit. 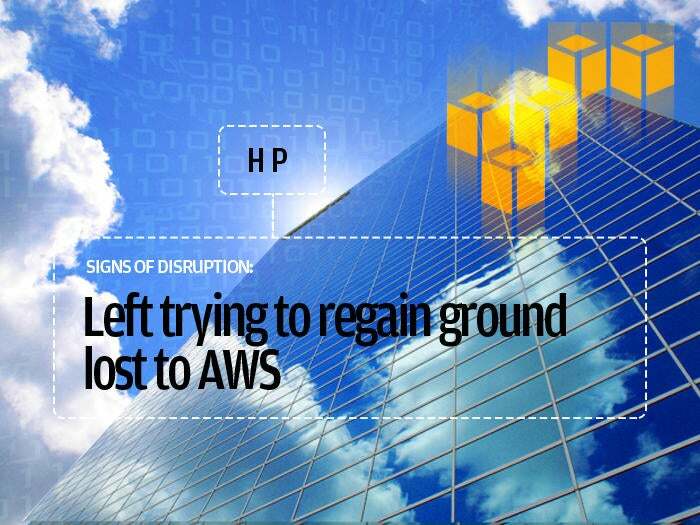 “Everyone in the hardware market has been disrupted by AWS [and cloud vendors],” Brooks says. Two short years ago there was only one HP. Amid softening sales HP in 2015 split into HP Inc., a seller of printers and computers, and HPE, a seller of enterprise IT. HPE this year has spun off its software and services businesses as well as it seeks to become more nimble and regain ground lost to AWS and other cloud players in the enterprise. Like HP, Dell was once a formidable seller of servers, storage and desktops, Dell has gone through comparable, if not more, changes than HP. As AWS and other cloud vendors dampened its prospects Dell went private in 2013 and has been since reimagining itself as a broker of the very cloud services AWS, Microsoft, Google and others provide. It later merged with struggling storage player EMC and sold its services, software and enterprise content businesses. AWS has also made it challenging for telecommunications operators that had designs on the cloud market. Recognizing that AWS, Microsoft and others are too far ahead in the game, Verizon just sold 29 data centers to co-location vendor Equinix, as it focuses on its core mobile and video businesses. 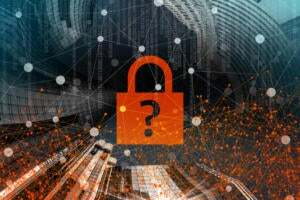 With more technology assets moving to public clouds operated by AWS, Microsoft, Google and a hundred other players, companies are entrusting the security of their data to their cloud providers, which means they have fewer data centers protected by guards. 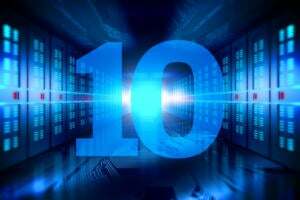 Cloud providers have automated tools to detect hackers. Companies are investing more on tools to detect social-engineering hacks via PCs, such as phishing and whaling scams, as well as advanced threat protection and predictive analytics to anticipate attacks. 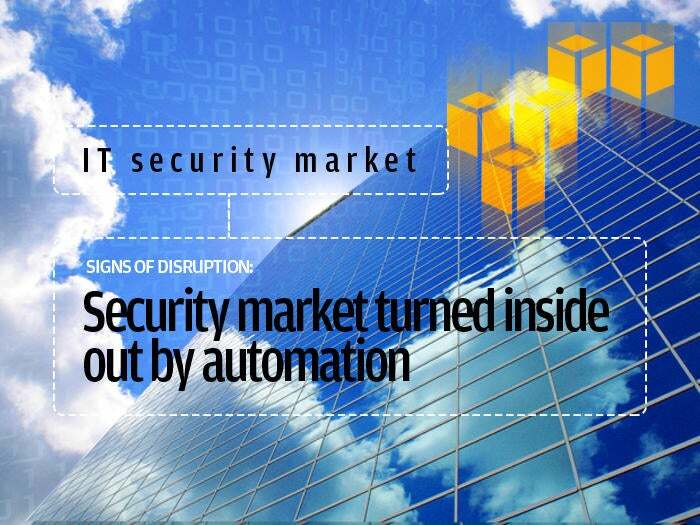 “It has turned the information security market inside out,” Brooks says. Before the cloud, compliance was largely a manual, paper-heavy process conducted by auditors. But with AWS and other solution providers automating compliance capabilities, companies don’t have to rely on human intervention as much. “Amazon is doing away with those needs … and that is going to be a significant change because compliance is hard to automate and a resource intensive and unpleasant thing that IT has to do,” Brooks says. Channel resellers still stock warehouses with PCs, servers and software packages from Microsoft and many of the traditional hardware makers and on-premises software vendors listed above. But they’ve also evolved to become cloud brokers – not unlike what Dell fancies itself. Ingram, CDW, Avnet and other have all altered their models to account for the cloud shift. Brooks says. “We are seeing a fundamental disruption around the model that AWS has pioneered and is currently dominating,” Brooks says.